Christmas Dinner Parties the easy way! Did you know we can bring the dinner to your Christmas dinner party or work event? We can come to your kitchen, your home, bring our staff and our ingredients and create a wonderful atmosphere for you to sit back and enjoy. 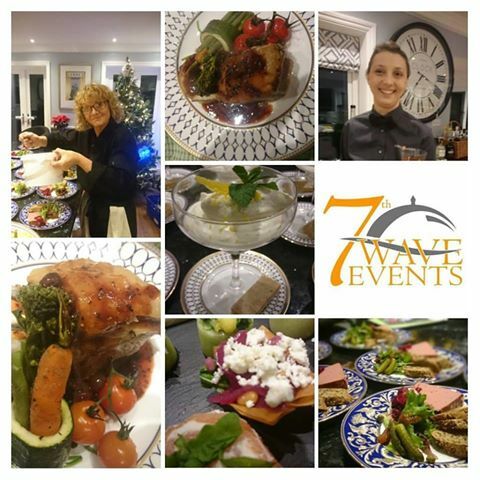 Above are some sneaky photos taken from a dinner party at Barton last year, the guests are still talking about what a great evening they enjoyed and by having us cater for a dinner party certainly makes the Christmas festivities a little easier! http://www.7thwave-events.co.uk/wp-content/uploads/2015/05/7th-wave-logoweb2-1030x250.png 0 0 7thadmin http://www.7thwave-events.co.uk/wp-content/uploads/2015/05/7th-wave-logoweb2-1030x250.png 7thadmin2017-09-12 18:45:122016-12-12 14:51:03Christmas Dinner Parties the easy way!